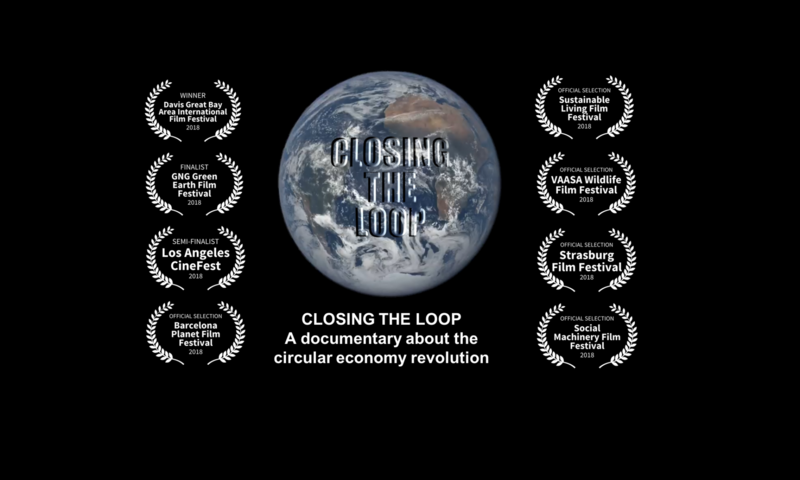 The Circular Economy Club (CEC) has partnered with the creators of “Closing the Loop” — the first, feature-length documentary to examine the circular economy movement — to orchestrate a worldwide screening of the film in more than 70 locations in over 30 countries between March 4-10, 2019. Organizers hope to leverage CEC’s active presence in more than 100 countries and inspire both dialogue and action. LONDON —The Circular Economy Club (CEC) is joining forces with the makers of the world’s first, feature-length documentary film on the circular economy. “Closing the Loop,” a critically acclaimed film directed by two-time Telly® Award and Emmy® Award-winning filmmaker Graham Sheldon, was publicly released on Earth Day (April 22) last year. The documentary — co-produced by Kaleidoscope Futures and presented by global sustainability expert Professor Wayne Visser — contains urgent warnings for humanity, but also innovative and optimistic solutions. 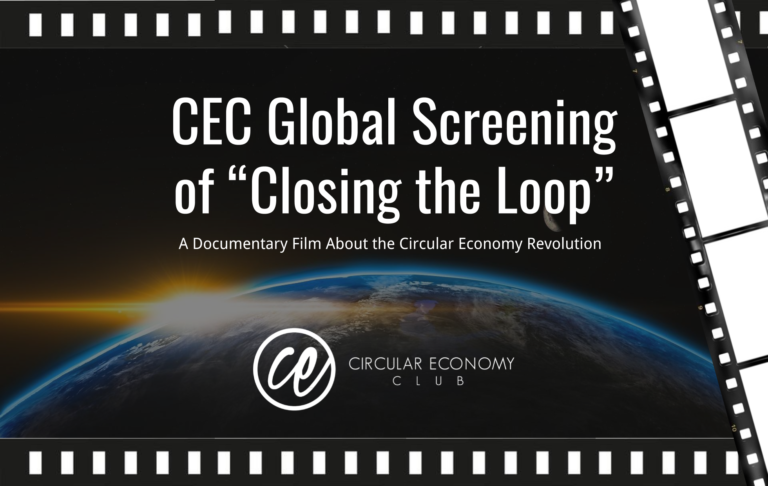 In an effort to inspire conversation and mobilize those who champion the circular economy, the CEC organized viewing opportunities of “Closing the Loop” in worldwide this week, between March 4-10, 2019. Specific screening locations are determined and listed at the CEC website. The documentary — made in part to support the United Nations Sustainable Development Goals, (especially Goal 12 on Responsible Consumption and Production) — explores five key strategies for achieving circularity: reduce, reuse, recycle, renew and reinvent. It features insight from a cross-section of experts, including voices from the World Economic Forum and the Universities of Cambridge and Harvard, as well as stories from Europe, Latin America and Africa. more information or to join, visit www.circulareconomyclub.com. We unreservedly condemn any form of corruption by any organisation, whether they are part of the circular economy or not. If anything, companies making a claim to be sustainable have an even stronger obligation to demonstrate transparent governance and good ethics. We have not cut REDISA from the film, since the circular business model it demonstrates is sound and the inclusive social empowerment benefits it created are important to communicate. These can still inspire others, especially those spreading the circular economy to emerging markets. We regard the continued inclusion of REDISA in the film as a tribute to the many honest and humble workers and beneficiaries of REDISA who shared their time and stories with us. We feel their voices should not be silenced due to the inappropriate actions, which was beyond their control. Our advice to those wishing to screen the film is to make their audiences aware of REDISA’s closure, the reasons why and the filmmakers’ rationale for keeping it in the documentary. Should they feel uncomfortable with sharing the REDISA story, the screenings hosts can simply skip over that segment of the film (43″17′ to 54″16′). Should you require more information, you can find the full legal judgement here. Barloworld developed a 30,000 square meter facility: 20,000 square meters are for the rebuilding of components and the remainder, 10,000, is for warehousing purposes.